Last week, amateur radio enthusiast Adrian Lane sent a call signal to the International Space Station. To his shock and delight, he got a reply. He chatted with an astronaut for about 45 seconds before the station went out of range. Lane’s brief “phone call” with an actual astronaut in space garnered international media attention, but according to NASA, this kind of thing happens all the time. That’s because there’s a ham radio up on the space station, similar to the ones used by amateur radio enthusiast around the world. That means you, too, can try calling the station! Ham radio refers to a set of radio frequencies allocated by the FCC for amateur enthusiasts. To get on the airwaves, you need a basic knowledge of radio technology and operating principles, and you need to pass a licensing test. US licenses are good for 10 years before renewal and come in three different classes: technician, general and extra. You can read about those different licenses here, or search for an amateur radio license class in your area here. Then you’ll need to get yourself some proper equipment. Read the Amateur Radio Relay League’s (ARRL) guide to learn all about selecting gear for your very first radio station. If you’re serious about calling an astronaut, you’ll also want to check out the Amateur Radio on the International Space Station (ARISS) page, which lists ham radio frequencies currently in use on board the ISS. Your best chance of making contact with the ISS is when it’s directly overhead. Public domain software is available to help you track the station, find out when it’ll be within range, and where to point your antenna. Here’s AMSAT’s popular pass prediction tool. 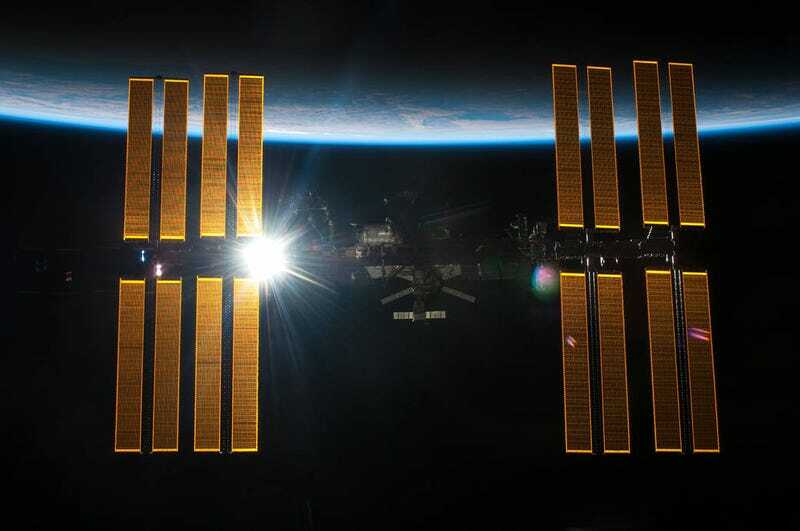 If you do make contact with the ISS, drop us a line and let us know how it went! I heard rumors that space lettuce tastes like rocket, and I’d really like to get some confirmation on that.